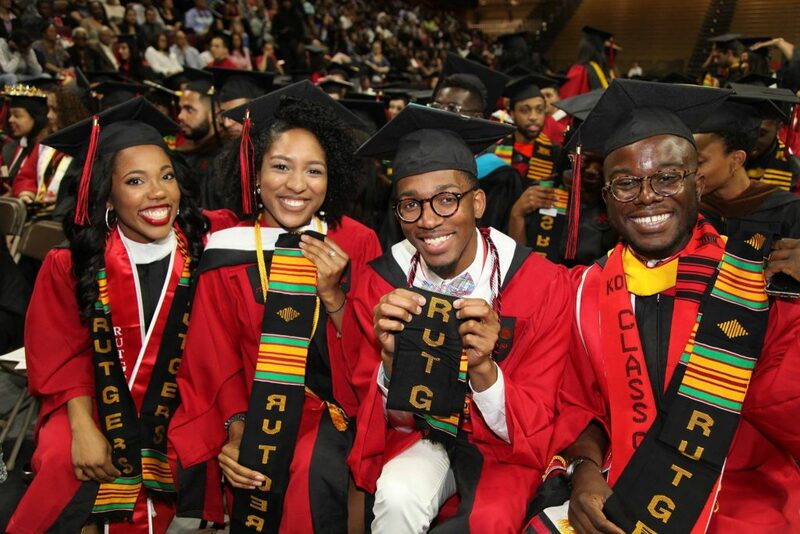 The Rites of Passage Ceremony is a pre-commencement celebration to honor Black and Latinx-identified students who through resolute persistence have successfully completed an Undergraduate or Graduate degree at Rutgers University–New Brunswick. The event recognizes their accomplishments, hard work and dedication, while simultaneously acknowledging the accomplishments of their families and networks of support. Distinguished speakers, student awards, live performances and the incorporation of African culture and traditions – specifically the culminating Kente Stole presentation – all add to the vibrancy of this celebratory day. A reception with food and beverages will follow. The Rites of Passage Ceremony Reception will be held immediately after on Henry’s Lawn (Across from Rutgers Cinema) from 5pm to 7pm. Refreshments will be served and all guests are invited. All guests are welcome. During the ceremony, each graduate will be presented with a Kente cloth, native to Ghana. Often reserved for royalty by the Ashanti people, the Kente Stole Presentation acknowledges that achievement is made possible by the support of family, friends and loved ones. This “passing of the torch” recognizes the contributions and sacrifices of our ancestors on whose shoulders we continue to stand in pursuit of our goals. The Rites of Passage Ceremony 2019 will be held on Wednesday May 15th, 2019 from 3pm – 5pm at the Rutgers Athletic Center on the Livingston Campus. The address is 83 Rockafeller Road, Piscataway, NJ 08854. Please see here for travel directions. 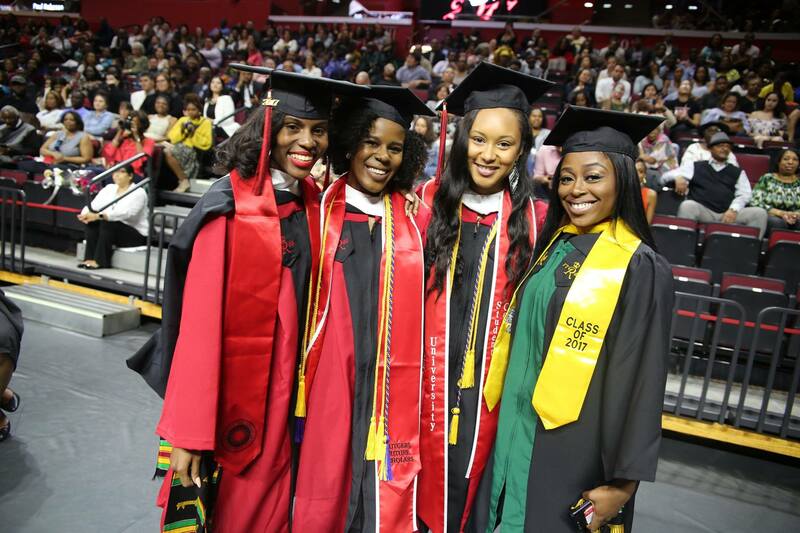 Participation in the Rites of Passage Ceremony is open to all Black and Latinx Rutgers University – New Brunswick Undergraduate and Graduate students who have earned their degree between January 2019 and October 2019. Students must register in order to participate. 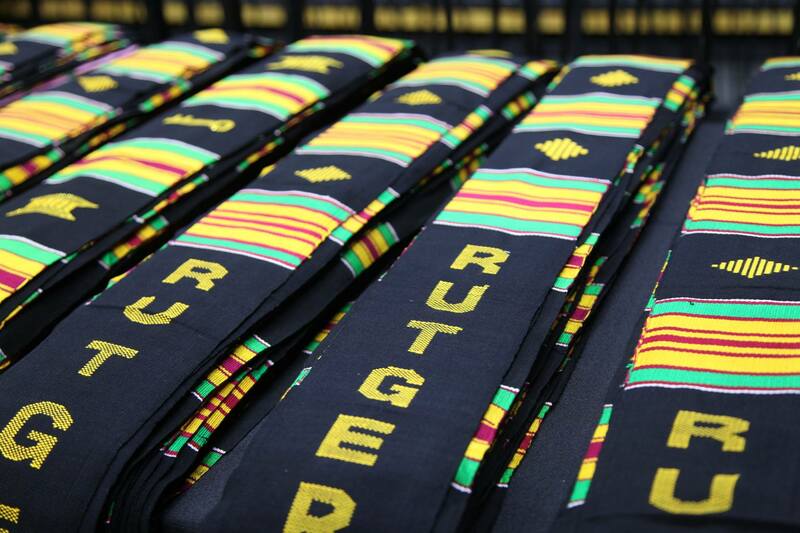 Only students who have registered by April 30th are guaranteed to receive a kente stole. All participating graduates must also wear academic regalia, which can be purchased from Barnes & Noble Rutgers Bookstore. Click HERE to register and view the opportunities to speak, perform and volunteer below. There are several ways that the Rutgers University community (students, staff, faculty and alumni) can participate in the Annual Rites of Passage Ceremony. Community members can audition to be a speaker/performer or volunteer to staff the event to ensure a successful and spirited experience for our graduates. Please see below to register for available participation opportunities. One of the most exciting components of the Rites of Passage Ceremony are the student speeches that are addressed to the graduating class, families and other ceremony guests! Each year one graduating student is selected to deliver a riveting speech that inspires our graduates, reflects on the student experience (including challenges and accomplishments), and connects the ceremony theme to our graduates’ post-grad transition. If you’re interested in delivering a speech at the Rites of Passage Ceremony, please click HERE to submit and interest form. An audition process will be involved and held the week of April 15th. The deadline to apply will be Friday April 12, by 11:59pm. One of the most exciting components of the Rites of Passage Ceremony are the student performances and entertainment, enjoyed by our hundreds of guests! We’re looking for performing artists (singers, dancers and spoken word poets) who are interested in sharing their craft with the graduating class. If you’re interested in performing at this year’s ceremony, please click HERE to submit and interest form. An audition process will be involved and held the week of April 15th. The deadline to apply will be Friday April 12, by 11:59pm. The Rites of Passage Ceremony is a signature program in the Black and Latino community at Rutgers and has existed for 27 years because our community participates, lends support, and is invested in the planning/execution process. Please click HERE to sign up to be a volunteer. We invite Rutgers Faculty/Staff to join us in our faculty/staff opening procession and closing recession at the 26th Annual Rites of Passage Ceremony. Faculty/staff who are interested in joining the Paul Robeson Cultural Center will be seated on stage and are required to wear their academic regalia. Please click HERE to sign up to participate in the Rites of Passage Faculty/Staff processional by April 30th, by 11:59pm. Who can attend the Rites of Passage Ceremony? 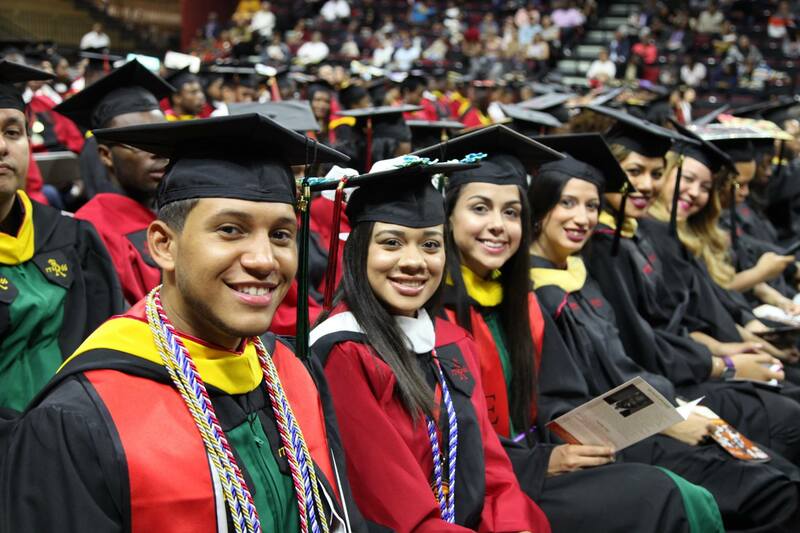 The ceremony is open to all black and latinx-identified Rutgers University–New Brunswick Undergraduate and Graduate students who have earned their degree between January 2019 and October 2019. All Rutgers University community members are invited to join us in celebration on a first come, first served basis. Where do graduates line up for the ceremony? Students will need to check-in at 2:00PM at the Rutgers Athletic Center. If students aren’t checked in with Event Staff by 2:30PM, they will not be part of the procession into the ceremony and instead, will be seated afterwards. What is the dress code for graduates? Graduates are required to wear their academic regalia to the Rites of Passage Ceremony. All regalia can be purchased from the Rutgers University Barnes & Nobles Bookstore beginning April 1st, 2018. Please see below for contact information. What can/can’t I bring to the Rites of Passage ceremony? Guests are welcome to bring personal photographic and video recording devices, as photo/video will be allowed. However, guests will be asked to use those devices from their seats. Food will not be allowed in the Rutgers Athletic Center. Where can I park for the Rites of Passage Ceremony? Event Parking will be announced by April 1st. Please stay tuned. How do I coordinate accommodations for a physical disability? To request disability accommodations for a guest or graduate, please contact the Paul Robeson Cultural Center by May 1st via email at rop@echo.rutgers.edu. You will receive a confirmation of your accommodations within two business days. How can I contact the Rites of Passage organizers with miscellaneous questions or concerns? 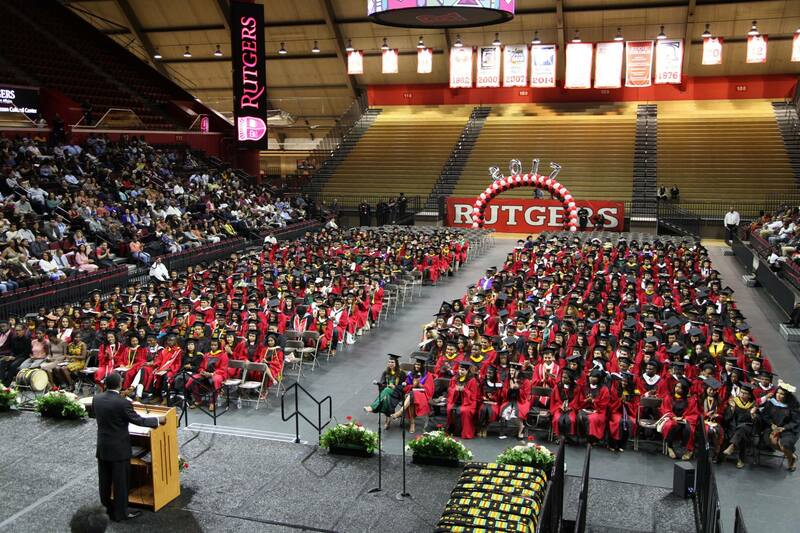 If you have any questions or concerns related to the Rites of Passage Ceremony, please email rop@echo.rutgers.edu. You will receive a response to your inquiry within two business days.